The Track Shack Running Series began in 1978 and is considered the region's premier road race series! 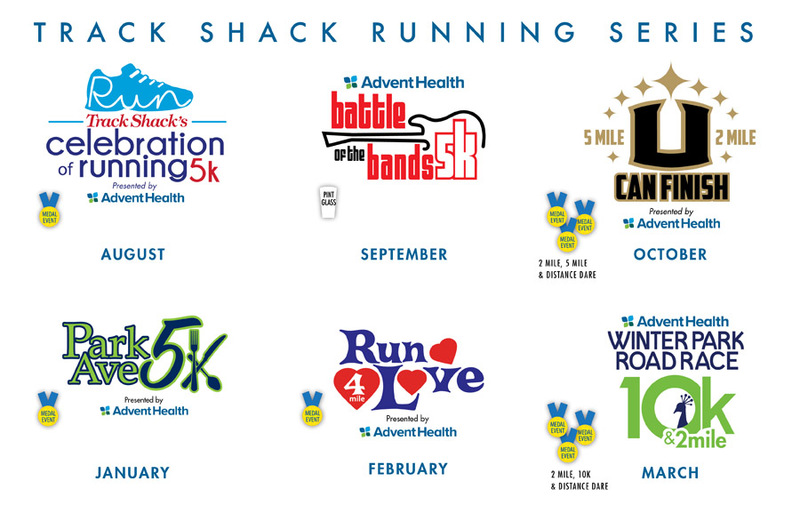 Together with our sponsors, Track Shack invites runners and walkers of all ages and fitness levels to participate. • Run or walk all six races! Be a Fanatic! Children experience the joy of running for fun and fitness. All kids receive a ribbon for participating! The first 125 children registered in each race will receive a t-shirt. Free Registration: Children must register on race day to participate. Restrictions- Safety is our first priority! Bicycles, roller skates, in-line skates, and dogs will be prohibited from the race course. The use of headphones is discouraged. 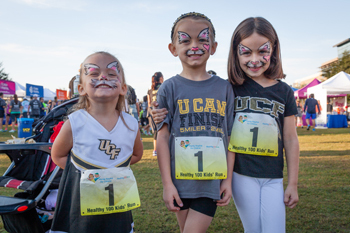 • Stroller/jogger operators start behind designated stroller signage (4 mile or shorter races only). • Stroller/jogger operators may walk/jog no faster than 12 minute per mile, a safe operating speed. If • your speed goes faster than 12 minutes per mile pace, you may be disqualified. • Stroller/jogger operators must yield the right of way to runners. Stroller/Joggers can tip easily and cannot turn quickly. Please do not weave through packs of runners.